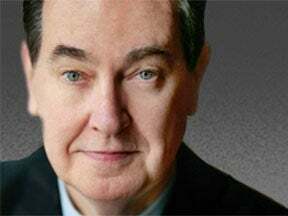 CAL THOMAS: If it's not an emergency, what is it? The flood tide of illegal immigrants crossing our southern border cannot and must not continue. Sen. Lindsey Graham (R-S.C.) has said of it, "The system is broken and overwhelmed. It is a national emergency." This is an issue that should command immediate congressional action. Graham told The Washington Times that virtually every immigrant entering the country illegally over the last six months has ignored deportation orders and failed to appear at court hearings. Graham said he got his information from Immigration and Customs Enforcement Acting Director Ron Vitiello. The Department of Homeland Security issued a press release last month warning that the situation at the border had reached a "breaking point." DHS reported that illegal immigration just hit a 12-year high, with more than 76,000 immigrants illegally crossing the border in February. Agents are overwhelmed, and no one in Congress seems concerned about the cost to local services and American citizens who are footing the bill. More migrants are on the way. According to the U.K.'s Daily Telegraph, Mexico's interior secretary, Olga Sanchez Cordero, has warned "the mother of all migrant caravans" is forming in Honduras. Sanchez Cordero said that the caravan includes about 20,000 migrants, and that another caravan of 2,500 migrants is currently heading north." If these were members of a military force it would be called an invasion. President Trump has threatened to close the border "or large sections of the border" this week if nothing is done to stem the tide. He should. Last week, Secretary of Homeland Security Kirstjen Nielsen visited Honduras, where she met with ministers representing that country, Guatemala and El Salvador. A memorandum of cooperation on border security was signed. A DHS press release said the agreement "aims to better synchronize cooperation between the countries in order to bolster border security, prevent the formation of new migrant caravans, and address the root causes of the migration crisis through better synchronized efforts." But over the weekend, the Trump administration cut off aid to Guatemala, Honduras and El Salvador. That's a good first step. Closing the border would be the logical next and essential step. Congress under both party majorities could and should have fixed this problem long ago. Both parties share equal blame for failing to reform our immigration laws. Democrats see the potential for future votes for their candidates. Republicans and their campaign contributors want cheap labor. History is a great teacher. In 1921, during the Warren Harding administration, Congress decided the massive immigration that had occurred in the previous decade should be limited so that newcomers to America could be properly assimilated. During the Calvin Coolidge administration, Congress toughened that law, capping immigration at 2 percent of a country's residents living in the United States. This lasted until the 1960s, when immigration laws became more liberal. "College students, professors and ministers were exempted from the quotas. Initially immigration from the other Americas was allowed, but measures were quickly developed to deny legal entry to Mexican laborers. The clear aim of this law was to restrict the entry of immigrants from Southern and Eastern Europe, while welcoming relatively large numbers of newcomers from Britain (and) Ireland." Try this experiment to help focus on what America will become without proper border control. Take a glass of milk and begin pouring water into it. At first, the milk is diluted. If the pouring continues, the water will replace the milk.